This terrific glass photo frame features a photo-effect image of the Eiffel Tower on a clear day. 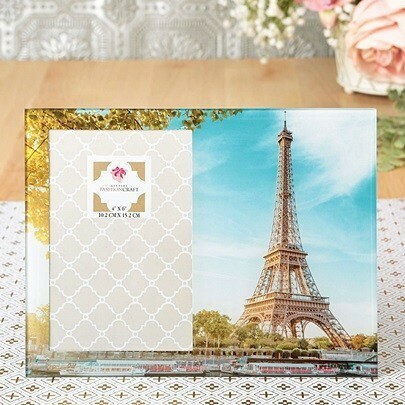 To the left of the image of the landmark is a window to hold a 4" x 6" photo or a table number at your Paris-themed bridal shower. Each frame is velvet-backed and comes packaged in a white gift-box. Sold individually.